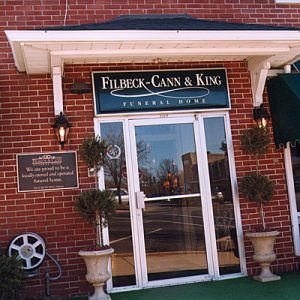 In a motion submitted to Marshall County Circuit Court, an attorney representing Heritage Bank says Filbeck-Cann and King Funeral Home and its owners owe the bank more than $280,000. WPSD reported that the motion says Tim King, his former wife, Becky Watson, and the business Filbeck-Cann and King, are jointly liable for a 2017 loan modification agreement with the bank. The bank is asking a judge to rule that the funeral home pay back that money with interest and direct the sale of the property to remedy the debt. King and Watson admitted selling fake burial policies out of the funeral home and pleaded guilty to fraud and theft charges in August. King served 50 days in jail. Watson was on house arrest for 20 days after being sentenced to 200 hours of community service and five years of probation.